Is it time to replace your Cup Setter? It’s one of the most used products in your greens tools arsenal. Durable, easy to use, and it does the job day in and day out. It’s the Par Aide Cup Setter. But when was the last time you replaced it or at least checked it for proper depth? It might look like it’s still in good working condition, and seems to set the cup properly, but structurally things may have changed over the years of use. And these changes may affect your cups not being set properly to the USGA regulation of a minimum of 1” below the surface of the green. 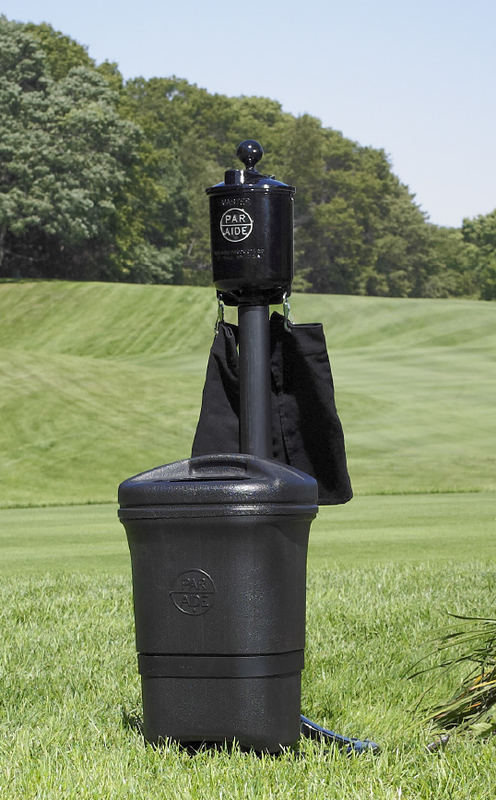 Additionally, modifications have been made to the new Par Aide Cup Setters that improve the playing conditions of your cups and ensure a proper cup set. All the years of use and all the cups that have been meticulously set into place has likely taken its toll on your old Par Aide Cup Setter. Think about all the cups that are set with a cup setter that is just 10+ years old. 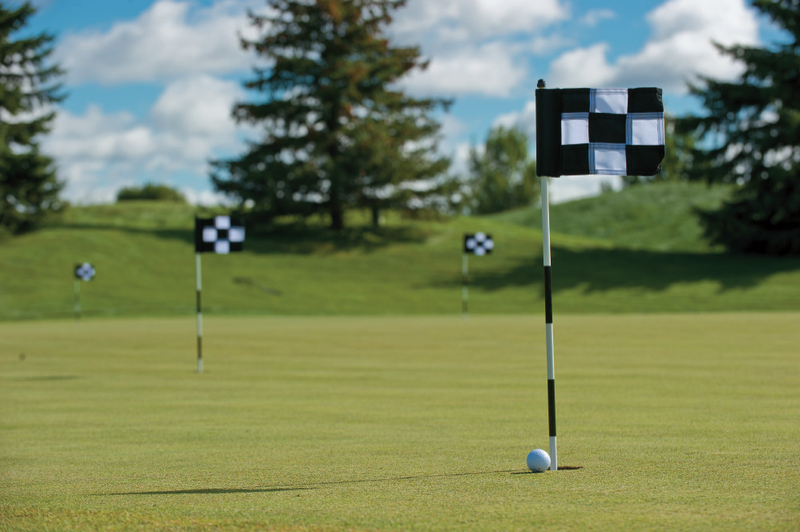 A 10-year-old cup setter might have changed 60,000+ cups in a year round golf climate. Is your cup setter older than 10 years? 20 years? 120,000 cups! The way in which a cup setter is used and the conditions that are present (sand and soil) are ripe for wear. 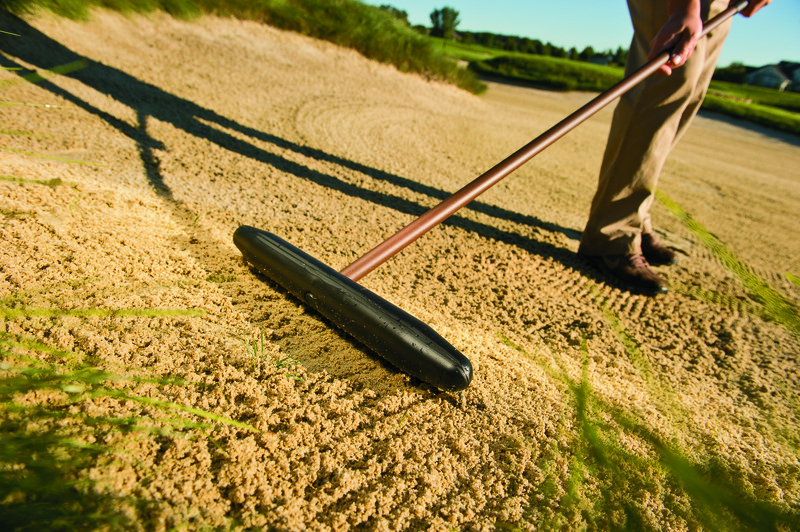 The sand and soil act like sandpaper and eat away at the 1” tolerance that is cast into our cup setters. The effect is that the cup setter actually forms a beveled edge where the cup is set vs a flat edge of a new cup setter right out of the box. This beveled edge reduces the depth that a cup is set, up to 1/16” or more. The result is a cup that is now set less than 1” below the surface of the green. Not a big deal, right? Not until Mr. Smith has a putt “bounce” out of the cup in your club championship because it was not set to the proper depth. Yes, it can happen. Just ask Joe Daley. It happened to him in the 2000 Q School finals! 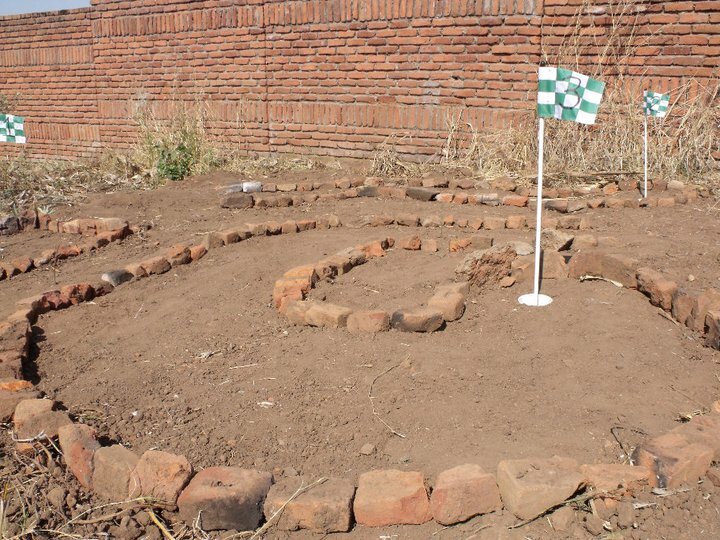 See the putt here: http://www.youtube.com/watch?v=6qQs6yokUVk. That missed putt cost Joe his PGA Tour card as he ended up the tournament 1 stroke back from getting his ticket punched to the big show. Furthermore, it was later confirmed that the cup was in fact set less than 1” below the surface of green at the time. Whether it was pulled up during play or set incorrectly at the start of the day, we will never know. So what can you do to help eliminate this unfortunate fluke from happening at your facility? First, check your old cup setter. If it is a Par Aide setter and it is red…it is at least 18+ years old (we have been painting them white since 1994) and likely has the worn edges described above. If the edges where the cup get set look beveled…it’s probably time for a new cup setter. 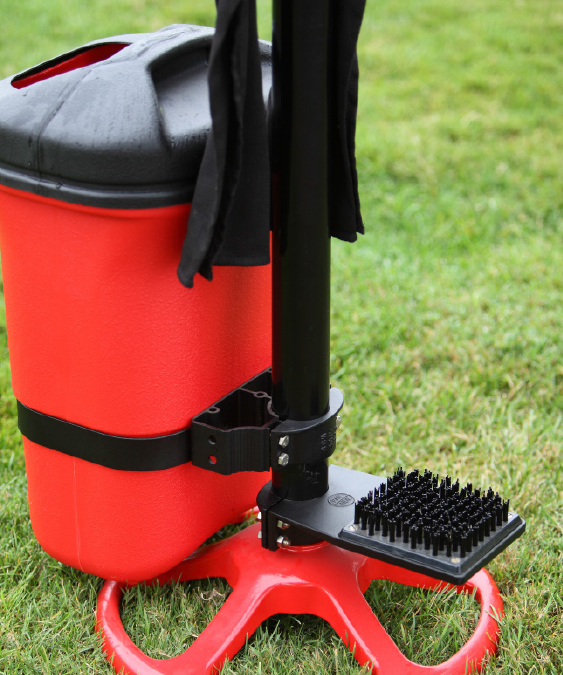 If you determine your cup setter needs to be replaced, what you will be getting from Par Aide is an improved tool. In 2010, we redesigned our cup setter to set the cup an additional 1/8” (total of 1-1/8”) below the greens surface. This means that even with an excessive amount of wear, or even a careless set, the cup is likely to be set to the required minimum of 1” below the surface of the green. So take a minute to check out your cup setter the next time you think about it…Mr. Smith thanks you in advance! This is posted by guest blogger, Dan Brown, Sales & Marketing Manger at Par Aide. Part One was intended to caution you. In other words, don’t quit your day job. However, let’s say you really do have an idea that seems like a winner. If you call me or any of us at Par Aide (and I hope you do) here is how our conversation will go. Me: So you have a new idea for golf? Why do you think it is a good idea? You: I am not aware of anything like it in the industry. Everyone tells me it is great. Me: Is it related to golf course maintenance or to be used on a golf course? Me: Can you tell me about it? Me: Okay. Let’s dance around it a bit. Is it for maintenance or the golfer’s use? 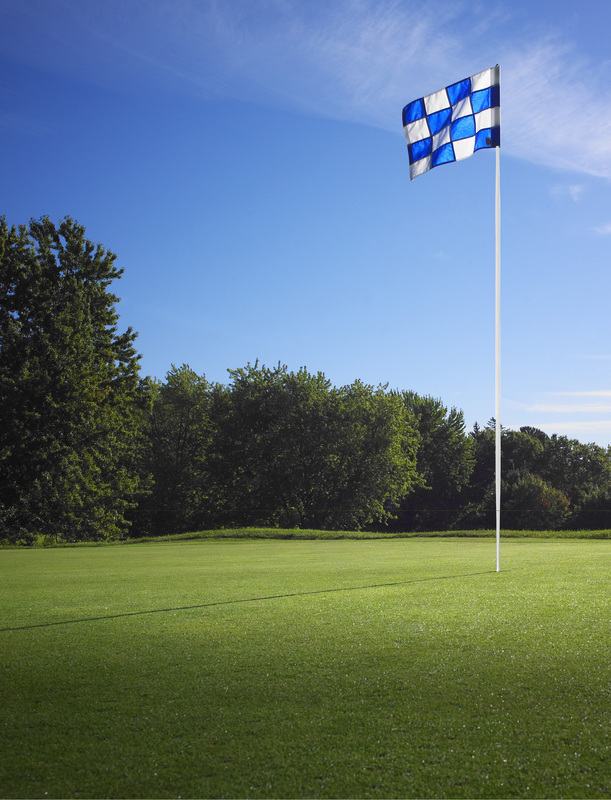 How many would a golf course purchase if it’s a good product? Do you have a patent pending? A prototype? Design drawings? Do you have an idea of what you think an end user would pay for it? Do you have any idea as to what it would cost to make? What are you looking to get out of this idea? Outright sale? Royalty? Or, some other arrangement? At this point, I again appeal to their interest in simply trusting us not to steal their idea. Most times they do and I am proud to say that we have never and will never steal someone’s idea. In fairness, there might be someone out there who thought we did; only because we were not believed when we told them that this was an idea we had been contemplating or seen before. Rather than get into this in detail, please allow me to offer some thoughts on expectations. We are in a small industry. With only 35,000 +/- customers in the world, you can easily predict the total potential sales if every customer bought the maximum, which of course is not going to happen. To determine what is available to you as a royalty or in projecting an outright purchase price, we need to consider likely market price (how much would a customer likely be willing to pay for this) and the cost to produce it. Remember, any royalty or amortization of a purchase is considered a cost. Do the numbers work? Can Par Aide achieve a reasonable margin? Is the product so good that we can live with less? Finally, it all boils down to trust. Whether it is us or some other person/company, you have to trust them. My purpose here is to provide a primer over this and the next blog on what I will ask if you contact me with a new product idea. First, in spite of what your attorney insists upon, we will not sign a non-disclosure. Quite frankly, you are just going to have to trust me/us. Why? Because we have over 50 years of thinking about new product ideas. We cannot jeopardize our investment in those ideas by blindly signing a non-disclosure that essentially duplicates an idea we are or have toyed with. By the same token, if you tell us enough about your idea that we are quite confident that it is truly different, we will consider signing. Your best protection: a patent. This puts you in the driver’s seat. However, don’t you know it, there is a problem here as well. I cannot tell you how many folks have paid the money to file a patent on a product that has no chance of being successful. Again, it boils down to trust. You really need to trust someone in our industry to share your idea. I have a simple philosophy. We are in a small industry. No matter what you come up with, I cannot make enough money on stealing your idea, as I will lose in cheating you. You know how fast word spreads in a small industry. Nothing enrages me more than one of these inventor “services” that patent your idea for you. I have seen many people get taken by this and then find that there is no market for their idea or product. Do you think the “service “cares? Nope, they made their money. And, a good patent to the end can, and usually, runs up to $10,000. You better sell a lot of whatever you have. You have an idea for a product you have never seen. Your friends all tell you it is a sure thing. So now what? Like a cliffhanger, check out Part Two. Those who know me, I think know that I am not very good at blowing my own horn, but I am excited to show you the result of one of the requests we filled. As most of you should know Par Aide provides a number of scholarships for the legacy of Superintendents. We have been doing this for many years as a tribute to Joe Garske, who himself helped educate a needy individual. We also have a budget for other philanthropic gifts which is broken into categories including community (assisting those in need), disaster relief, industry, and yes even a small amount is earmarked for political issues both those supporting issues important to our industry and those important to Par Aide. 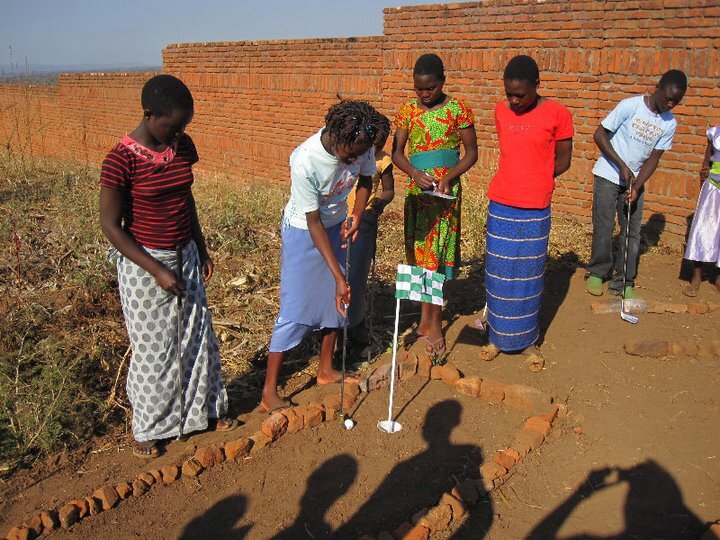 While the scholarships are near and dear to me, we have also supported a few other interesting causes, such as sending golf equipment to our soldiers overseas and most recently we responded to a request for a simple gift of practice greens markers for children in Malawi, Africa. 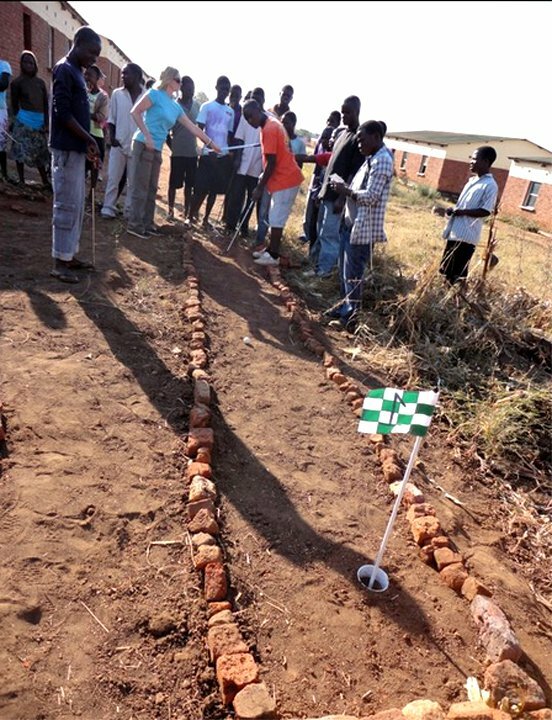 There the group, Kusewera, built a miniature golf course using Par Aide cups, flagsticks, and flags at the Mtendere Village Orphanage. Below are a few pictures, you can also see more at www.facebook.com/ParAideProducts. This particular cause touched us all and while not really falling under any of our categories, could just not be ignored. However, with that said, we are deluged with requests for donations; ball washers for charity auctions and flags for same. We, unfortunately, have to turn down way more than we can possibly support. Finally, all of us at Par Aide, who take our philanthropic responsibility seriously, want to thank all of you who make it possible through the support of our line and purchases of our products. You are doing good and probably never knew it. Thank you! When I was growing up it seemed only Harley riders and servicemen (mainly those in the Navy) sported tattoos. Usually they were the names of their loved one and generally within a heart. Of course things were a bit simpler then. Now it seems tattoos are common and the subject matter as varied as the imagination. However, James Brewer’s, from the Rose City Golf Course in Portland, OR, gets my vote as the world’s best! 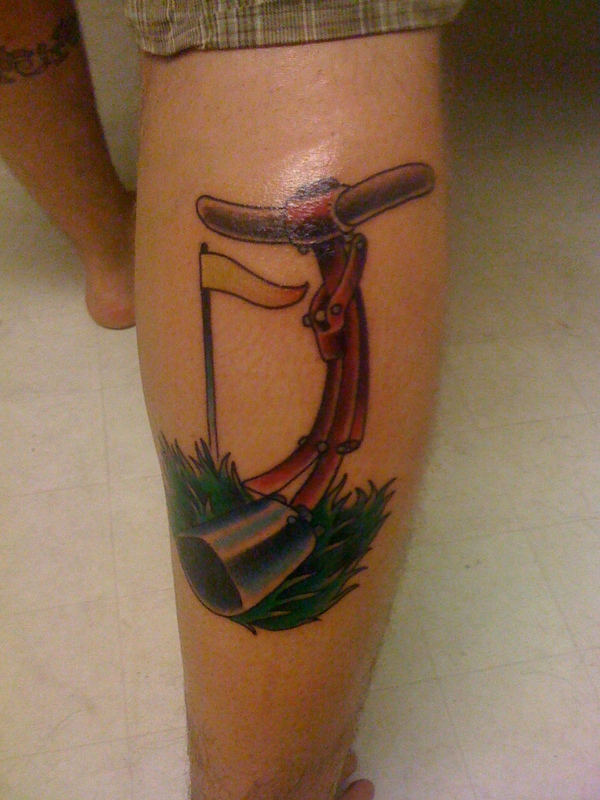 He says he loves his job and as a way to tell the world, he has a tattoo of a Par Aide hole cutter on his leg. Really! I am not sure this can be beat but if you have one and want to share it, please do. Of course, if it includes a depiction of a Par Aide product, it will definitely be given extra credit. A Par Aide logo would be over the top!! James, thank you for sharing. We all much enjoyed it. Another show over. It was about my 38th GCSAA Conference and Show. I think that I have missed two since 1971. This year’s show was quite a bit smaller than past years, maybe ½ the size of last Orlando show in 2008. Smaller only in size as most of the exhibitors you would expect to see there, were there, just using less space. Attendance seemed strong, especially the first day of the two show days. All in all, we were happy with it. The GIS allows us to visit with many if not most of our dealers from the USA as well as international. We visited with dealers, and in most cases friends, from Morocco, Sweden, Turkey, New Zealand, Japan, China, Finland, Peru, Iceland and Holland to just mention a few. As I have mentioned before in this blog, the friendships I have made over the years from so many different places around the globe far outweighs all else in terms of value that I have been privileged to enjoy through my ownership of Par Aide. I know how fortunate I am. We introduced a new white board product this year. After gathering photos of Superintendents’ white boards over the past 4 years and holding a few focus groups, we boiled all we learned down to 12 pre-printed white board options for crew instruction, job assignments and general communication. It was not easy as all Superintendents have their own system and quite frankly that knowledge kept us from tackling this product idea for the last many years. Apparently, it was better late than never as many asked why it hadn’t been done before. We expect to have full information and photos on this website very soon. We feel the urgency to do so. Of course, whenever we have introduced a new product that drew people in and was well received, it makes the 8-10 hours each day go by pretty fast and helps one to ignore the back pain and weariness of standing and talking throughout the hours. Of course, seeing old friends and making new ones is pretty nice too! Next year, we’ll be in Las Vegas the end of February. For now, it’s back home to process what we learned and get ready for the spring rush.